Canada 150 marks a great time to explore our beautiful parks. With free access into the national parks across the country there are kilometres to venture and sights to see. With Revelstoke in our hearts we couldn’t think of a better place to start. 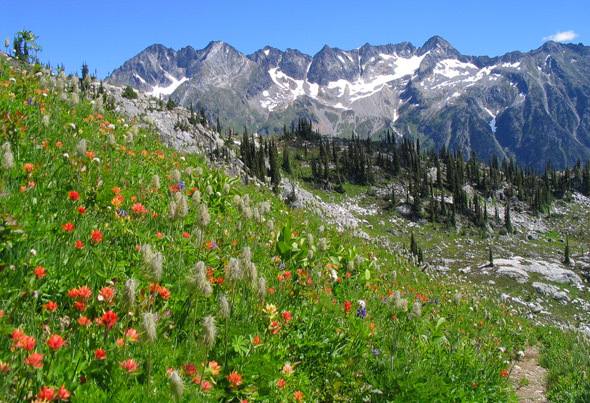 Revelstoke has endless adventures from bottom to top of the glorious Mount Revelstoke. With free entry the mountain offers boardwalk trails, alpine trails and a summit trail for the hike of a lifetime. Inspiration Woods is a great short hike at the base of Mount Revelstoke. For an easier stroll, the Giant Cedars boardwalk provides a great boardwalk that showcases, you guessed it, giant cedars. The name doesn’t deceive as the cedars are certainly giant. There are also some great running 2 and 5km loop trails and an interpretive trail at Nels’ Knickers. Drive to the top and hike the final kilometer to the summit or take the shuttle. The summit of Mount Revelstoke has many short hikes with unbelievable views of all sides of the mountain. 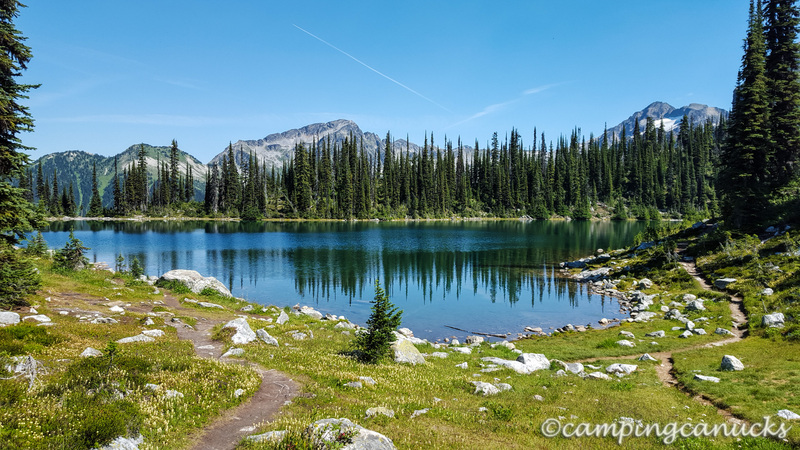 The First Footsteps trail is a great loop and the Fire Lookout, Koo Koo Sit trail and Heather Lake trail all have great viewing spots of the mountain ranges that surround Revelstoke. For a more challenging hike these lakes are a great hiking destination and offer camping as well. Stop over at Eva lake on your way back from Miller lake. A hike to the Jade lakes requires an early start but the views and the jade-coloured lakes are well worth the extra effort.